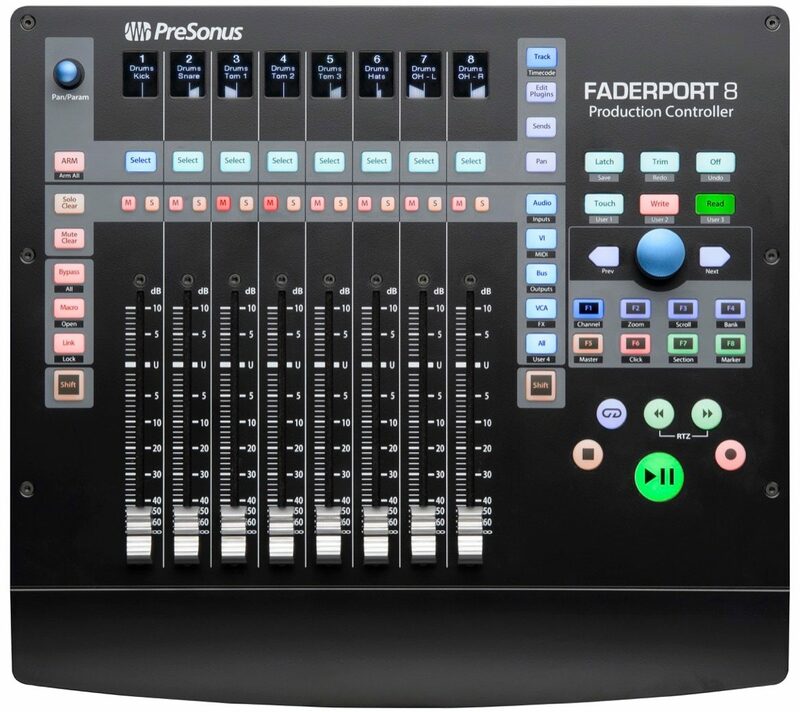 The PreSonus FaderPort 8 features eight 100 mm motorized, touch-sensitive faders; digital scribble strip displays; and a unique Session Navigator to make mixing and controlling your favorite DAW application quick and easy. 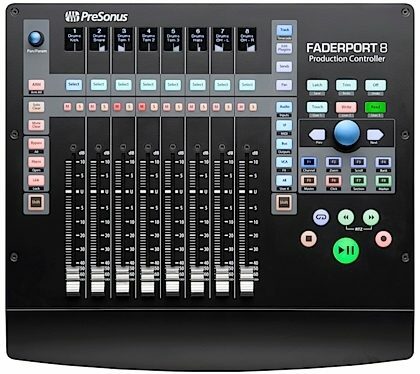 The FaderPort 8 is compatible with virtually any DAW host for Mac OS X or Windows, with support for HUI and Mackie Control and native control of Studio One, including Control Link support as well as parameter follow, allowing you quick access to any control under your mouse. Its ergonomic design makes it a comfortable companion to your keyboard and mouse. "Decent now, but maybe better in future? (Studio One user)"
Overall: I like the design but as far a function goes but its definitely half baked. Some of the buttons don't even have software written for them (software upgrade may fix later). I also don't like how the software faders don't always respond when you move on the hardware. Sometimes its just delayed, other times it doesn't move at all. I'd skip buying this if not on Studio One, but if you use Studio One the integration may be great.